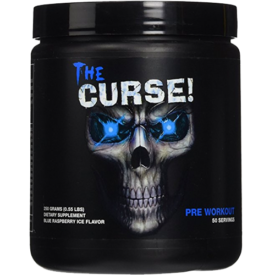 Home » Cobra Labs’ The Curse! Pre-Workout Review — Proprietary Blends? Cobra Labs’ The Curse! Pre-Workout Review — Proprietary Blends? It’s probably fair to say that The Curse! is Cobra Labs’ flagship product. When you visit their website, it immediately appears before you in a flash of lightning and they claim that over a million bottles of the stuff have been sold. Cobra Labs says The Curse! delivers “insane energy, mental focus (and) muscle pumps.” So what’s in it? A reasonably priced preworkout with good doses of ingredients linked to energy and endurance. There’s no calorie information and a lot of the blends are proprietary, so we don’t know the exact quantity of all the ingredients. We do know that one scoop has 155 milligrams of caffeine — about as much as you’ll find in 1.5 cups of coffee — and 2 milligrams of olive leaf extract. That’s the “Mind Control Matrix.” There’s also a 900-milligram “Blood Flow Amplifier Blend” of l-citrulline and l-arginine AKG and a three-gram “Energizing Muscle Fuel Blend” of beta alanine, creatine, and citric acid. The only other ingredients are some anti-caking agents and artificial flavors, sweeteners, and colors. Note that these ingredients include the sweeteners sucralose and acesulfame potassium. It’s also worth pointing out that The Curse! suggests increasing your dosage to two or three scoops if that’s what you prefer. Let’s start with the Mind Control Matrix. The caffeine, of course, provides an energy boost and there’s evidence that it can also significantly increase power output, endurance, and strength. The olive leaf extract is less well known. While there’s not a ton of evidence it helps with focus, it may lower the risk of cognitive decline and associated illnesses. But when used a supplement it’s typically administered in doses of 500 to 1,000 milligrams. There are just two milligrams in a scoop of The Curse! 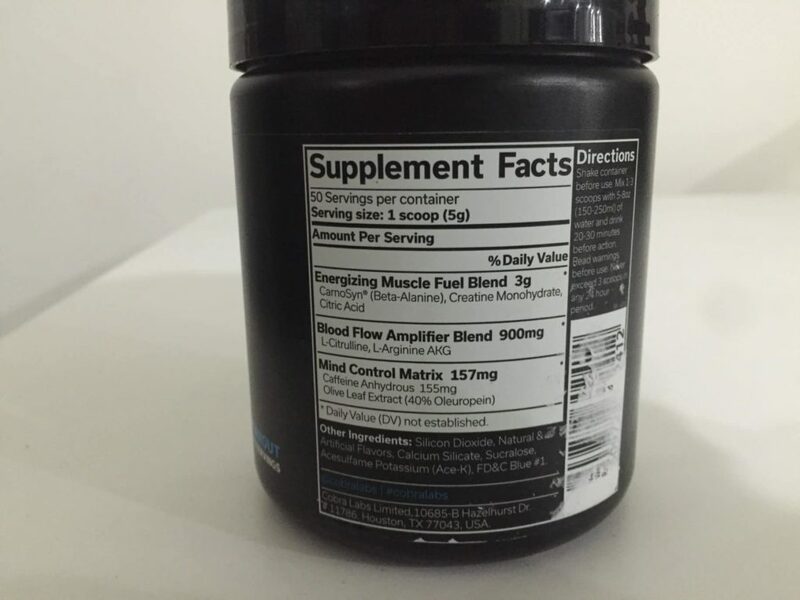 The Blood Flow Amplifier Blend has citrulline and arginine, both of which can help with muscle pump and blood flow. The reason they do this is they aid nitric oxide production, but taking them both at the same time may be redundant since they compete for the same mechanism. The “Energizing Muscle Fuel Blend,” at least the beta alanine and the creatine, should work well to improve endurance and power respectively. The blend is 3 grams, and since most studies suggest 1.6 grams of beta alanine and about a gram of creatine to produce these effects, there seems to be a decent chance that the Energizing Muscle Fuel Blend will be effective for those purposes. It’s hard to say the same of the other blends. As I said, citrulline and arginine are a little redundant and more importantly, most studies suggest you want a good 5 or 6 grams of citrulline to have an acute effect on a workout. There are just 900 grams in the citrulline/arginine blend. You can pick up 50 servings for $23, that’s 46 cents per scoop. That’s very inexpensive compared to other pre-workouts, which average at between 80 cents and a dollar per serving. The product comes in four flavors: Lemon Rush, Green Apple Envy, Tropical Storm, and Blue Raspberry. I tried Blue Raspberry and it tastes like your standard raspberry candy. I put one scoop in 1.5 cups of water and I found it pretty mild, I think the same amount of water would taste fine with two scoops. But it’s cheap, it has caffeine, and the other ingredients could have an effect on endurance and power. 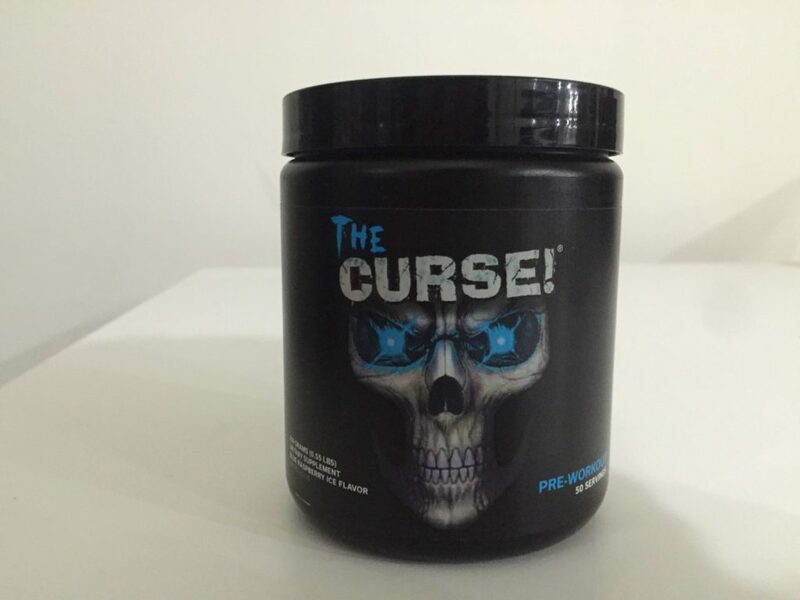 The doses may seem low to some, but if you want to keep your pre-workouts to less than 50 cents a serving, The Curse! could be useful.